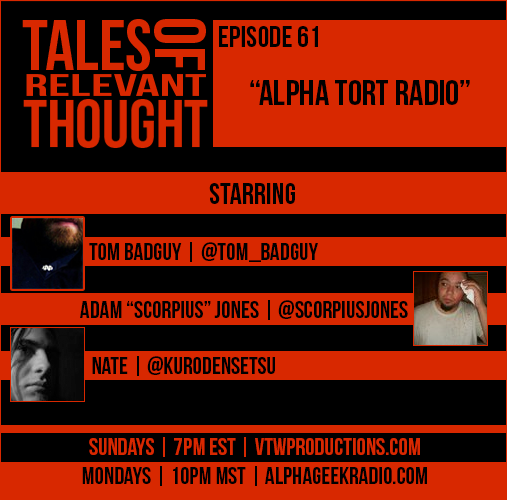 Episode 61 of TORT, now also on Alpha Geek Radio! The group discusses many pressing topics like Rockstar and dem GTA V mods, why they no like? How about trash talking in video games? Is this the culture now? Tom actually watches and anime: Sword Art Online. Do you think he liked it? Maybe? If I put more questions does this it make the episode sound more fascinating? This and more, enjoy!